It's an exciting time at Etsy. We are bringing our mission of making commerce human to life. Join our rapidly growing Marketing organization where your contributions will make a big impact & positive difference in people's lives. 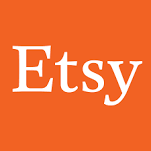 Etsy is seeking a Sr. Manager, Performance Marketing. We are looking for an ambitious, marketing leader focused on driving an e-commerce via a rigorous approach grounded in analytics, testing, technical know-how & business savvy. You are an optimizer, always seeking out a better way to do something, a new hypothesis to test or a new methodology to vet. You iterate toward a better program constantly, via a combination of analytical skill, technical interest & business sensibility. This full-time position is based in Brooklyn, New York & reports to the Vice President, Marketing.